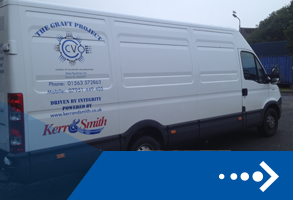 GRAFT A range of services to support tenancies – painting & decorating gardening, & cleaning. For more information please call 01563 574000. We do this by providing services, support and representation at strategic and operational levels. 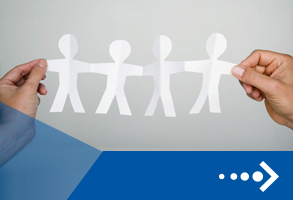 The sector is large and complex ranging from small community groups run by one or two volunteers, to large social enterprises with many employees. 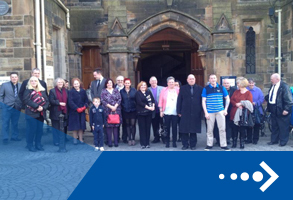 Whatever the size of the organisation, CVO East Ayrshire is the conduit to the private and public sectors. Part of our remit is as a partner in the Third Sector Interface, and in that role, we represent the sector on over 20 different partnerships, locally and nationally. These include Community Planning, Financial Inclusion, Employability, Reshaping Care for Older People, Health and Social Care Integration and Early Years. We deliver training, capacity building and development support to our members and the wider sector. Topics range from fundraising and social enterprise to committee skills and charity law. In addition, we believe in leading by example and have set up and grown a number of social enterprises, supporting some of the most vulnerable members of our community and providing employment and volunteering opportunities. 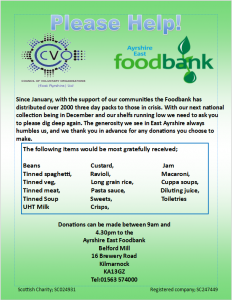 More recently we have assumed responsibility for the management of Ayrshire East Foodbank and co-ordinate the supply of emergency food to those in need across the area. You’ll find more information on our vacancies page. Please feel free to share them with your networks. We are also happy to share your own local vacancies. Just drop us an email and we’ll post it in our news and events section and on our social media pages. Please help! 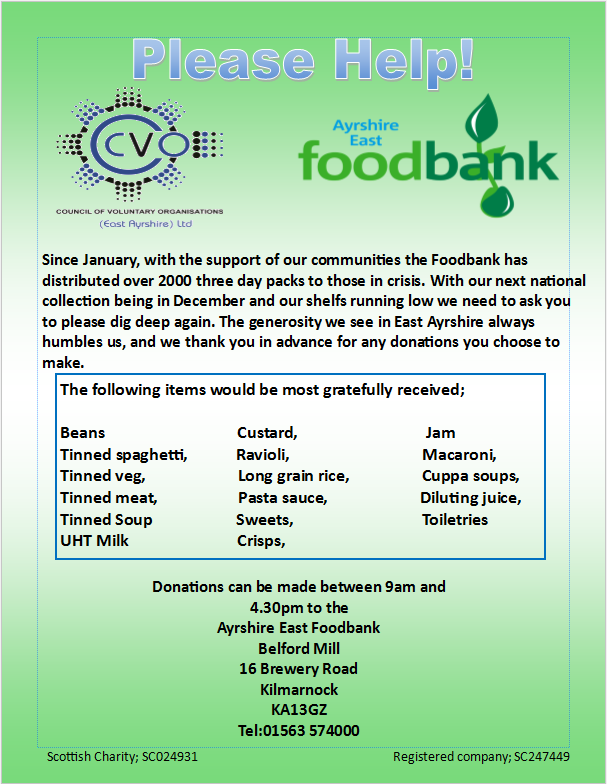 Foodbank stocks are really low!